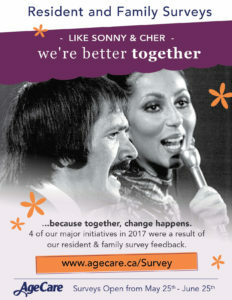 AgeCare / News & Events / AgeCare Resident & Family Experience Survey now open! The 2018 Resident & Family Survey has arrived! If there’s one thing we’ve learned in 20 years of caring for our residents, it’s that we’re better together… because together, change happens. 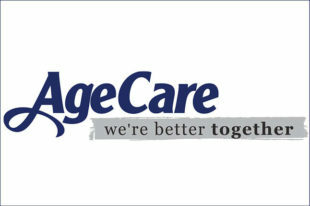 On the survey, you’ll find questions about your experience with AgeCare. Your feedback will be completely anonymous and will help us improve the life of someone who truly matters – you or your loved one.